Announcement Czech Glass beads, Striped Aged Picasso Seed Beads, Mykonos Greek Charms, Leather cord, Gemstone Beads, Sterling Silver and more. Please remember I ship very quickly, usually day of the order or the following business day, but I do ship from *Canada* using Canada Post only. TRANSIT/Arrival time is beyond my control. Please ensure your address is correct at the time of your order. Since I do I ship very quickly, sometimes within minutes of an order, if the address is incorrect there is little I can do once it is shipped. I am not responsible for shipments placed with the incorrect address. **USA shipments usually take 7-14 business days (business days are Mon-Fri there is no mail on Sat/Sun or holidays) there is NO TRACKING available for regular mail service. Shipping costs to the USA for non tracked goods = 5.75 plus 0.25 each item. A snap shot of each order is taken prior to mailing as proof of shipment. If a US buyer would like TRACKING please select TRACKED PACKET upgrade at checkout any and all over payments on shipping will be refunded (it's typically $9-16USD for the tracking service). This cost is what Canada Post charges for the service. SIDE NOTE: payment processing is done by Etsy not individual sellers. Sellers have no control over the time taken for a payment to process. Please take a moment to read the FAQ and Policies, you'll find many answers there. Many thanks to all my customers! Czech Glass beads, Striped Aged Picasso Seed Beads, Mykonos Greek Charms, Leather cord, Gemstone Beads, Sterling Silver and more. Beautiful very sparkly, thank you! 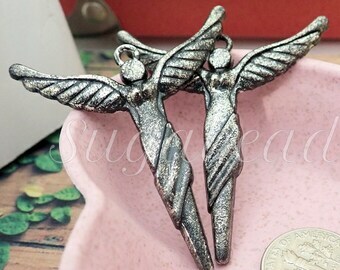 I try my best to find unique, trendy, interesting charms, beads, and pendants for you to enjoy. Welcome to Sugabeads. Please take a moment to read the information provided, it will answer a great many questions. If you have any questions after reading the FAQ or Policies, please feel free to contact me. *My shop is in Canada and ships using Canada Post only. * VERY IMPORTANT: All orders are shipped to the address provided on your Etsy account at the time of the order. I cannot be held responsible for orders shipped to wrong addresses. Please ensure your shipping information is correct. I ask that all buyers please use Etsy's cart for purchases but if a reserved listing has been arranged please ensure you are ready to purchase the listing within 48 hours. For multiples of the same item please do not ask me to make reserve a listing. On occasion buyers ask for items that must be ordered in. On these occasions a DEPOSIT for the goods will be required from the buyer for these orders. Please note this is a supply shop, selling items used to assemble handmade jewelry. Most items are purchased for that purpose and not ready to wear jewelry (with some exceptions). 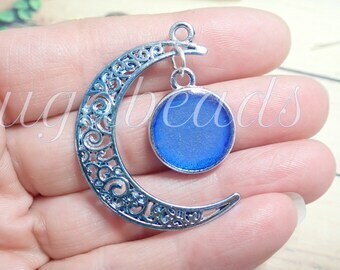 Example: Charms are not sold as jewelry items but as supplies for making jewelry and crafts. They likely will not be ready for adding to a chain without a jump ring. 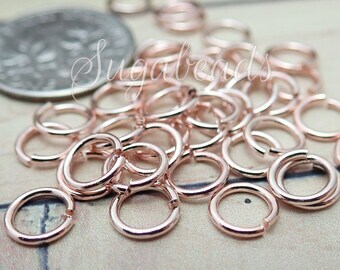 If you would like jump rings added to your purchased charms please contact me. If there is an issue contact me within 3 days in North America. Buyer is responsible for return shipping fees, returns can involve filling customs paper work for the item if outside Canada. If the item is not returned in its original condition, the buyer is responsible for any loss in value. No exchanges. Refunds are for goods only, no shipping fees will be refunded. EU buyers: 14 days for returns, safe return shipping is the responsibility of the buyer. If the item is not returned in its original condition, the buyer is responsible for any loss in value. Remember All Taxes, Duty and VAT fees are the responsibility of the buyer. Should an item qualify for a refund the cost of shipping for a package return is the buyer's responsibility. Once items are returned safely, a refund will be issued for the goods only. If you cannot return the items, I cannot refund you. Paypal or Direct Checkout by Credit Card. ALL PRICES AND SHIPPING COSTS ARE QUOTED IN USD. ALL SHOP ITEMS ARE SHIPPED VIA CANADA POST. I ship quickly but keep in mind I have NO control over arrival time. Regular Shipping COST: $5.75 + 0.25 each additional, regular shipping has no tracking. UPGRADED TRACKED PACKET: this is an upgrade method with tracking, usually arrives in 8 but *NOT* guaranteed, if you would like this method select it at checkout. **Business days are Monday-Friday. No mail service on SAT/SUN. Regular Shipping COST: 2.75 + 0.25 each additional item, regular shipping has no tracking. If you have a time sensitive order please use Xpresspost for shipping as I have no control over arrival times using regular shipping. COST: $9.25 + $1.00-$1.75 each additional Item, depending on the item. ARRIVAL TIME: 2-5 weeks I'm not responsible for delays due to customs. VAT, TAX, DUTY: is the buyer's responsibility. Refer to your country's regulations for more info. If you have questions or requests ask BEFORE purchasing please to ensure it is possible. SHIPPING UPGRADES - At check out if you may choose to upgrade your shipping method to Tracked Packet (USA ONLY), Xpresspost (Canada) or Expedited (Canada) to receive a TRACKING NUMBER. Tracked Packet also tends to arrive more quickly to the USA but does not have a guaranteed shipping time. Xpresspost or Expedited for Canada - cost is based on size, weight and destination convo me with your postal code for a quote. Transit time for Xpresspost within Canada is 1-3 business days, not counting day of shipping. For items purchased outside of Canada there is no option for marking items as a gift on customs papers. I must mark the cost of the goods on the customs declaration. DUTY/ VAT/TAX - USA buyers are allowed to purchase $300+ worth of goods without being taxed. All OTHER COUNTRIES: Any and All duties, taxes or fees charged by the customs/border to your country are the buyers responsibility. Each country is different please contact your country's customs for more info. NOT for Children or Animals: ALL ITEMS sold here are meant for adult use, not for children or animals. Should you use items for children or animals I am not responsible for breakages or any other occurrences. 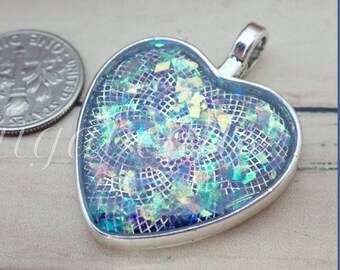 ALL ITEMS ARE LEAD & NICKEL FREE metals. CONCERNS ABOUT YOUR ORDER - Always contact the seller directly if you're having an issue. I will reply within 24 hours. Allow the seller the chance to rectify the issue should one arise. This is part of customer service and unfortunately on the rare occasions shipment issues may occur. Please do not call me, please use the Etsy messaging system. If you have an issue with an item be prepared to submit a photo of the concern. For myself, I take my shop seriously and want customers to be happy with their purchases. SIZING - When purchasing: PLEASE check the size of an item BEFORE you purchase. Please don't give less than stellar review when it is concerning the SIZE. The sizes are marked in each listing. It is up to you, the buyer to ensure the sizes are what you need, please check them with a ruler or calipers prior to purchase. Photos are used as a close up for seeing details and at times do NOT reflect quantities PLEASE READ the listing for proper quantity information. For sizing, use a ruler or calipers to see the actual size. Please do not buy something, receive it and say it's smaller or bigger than expected as I have placed all the measurements in the listing. If I have missed info in the description please contact me I will reply and add the information. It's truly disheartening when my reviews are affected because of size issues that are marked in the listing. FINALLY - If you don't agree with these policies or shipping costs please do not purchase. 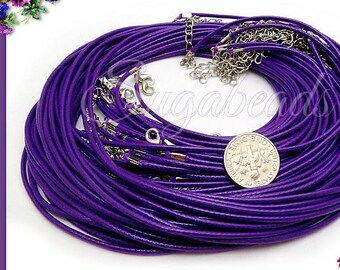 Thanks for your time and for shopping at Sugabeads! ~Items are shipped in a bubble wrap envelope via Canada Post. Rates include a small handling fee for supplies (ink, gas, paper, envelopes, bubble wrap, baggies, fees, labels, etc). ~ BOXED items, for US buyers, if you wish items to be boxed please contact me at the time of your order as there may be a shipping upgrade required. ~ Boxed items in Canada please send contact me with Postal Code for an average price (around $9-15), or use the shipping upgrade at check out. (I will refund overages). SIDE NOTE TO ALL BUYERS: Payment processing times are done by Etsy, not individual sellers. COST: 2.75 + 0.25 each additional item. COST: $9.25 + $1.00-1.75 each additional Item. This is a supply shop for jewelry makers and crafting. Most items are not finished ready to wear items. 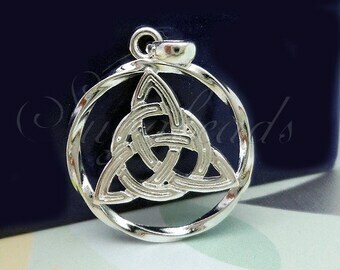 Most charms, pendants require jump rings to fit on a chain. If you need them added, contact me. I'm willing to add them within reason. Adult use Only! Also, all items sold here are intended for adult use, not for children or animals. Please do not use these items for children or animals. Why is my item Bigger/Smaller than anticipated? Please realize photos are taken to show detail, items may appear larger so please take a ruler or your calipers and check the size written in the listing so you are sure to purchase the size you need. The description will have all the info for the sizes. As a seller I try to add all the info you require, it's up to you to measure so you're happy with your purchase. If I've missed information please contact me prior to purchase, I'll be happy to measure and let you know. How can I care for my items, will it tarnish? 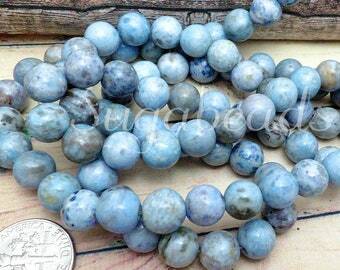 All items for sale are lead, nickel and cadmium free. If you have a special request it's important that you ask BEFORE ordering to ensure that it is possible. IE: need by certain dates. I cannot guarantee arrival times for the USA or INTERNATIONAL. Please see shipment TRANSIT times for more info. Please use the Etsy cart provided for your order. I can do small reserves which are to be purchased within 48 hours. For multiples of the same item please do not ask me to make reserve a listing.